Taste of Times Square - Monday, June 5 @ 5 p.m.
One of the great things about The New Yorker, A Wyndham Hotel is that it puts you in the heart of New York, just steps from the city’s best events. And in just a few weeks, one of our favorite ones is happening just up the street - in Times Square. We’re talking about the Taste of Times Square on Monday, June 5, 2017. So if you have any ounce of foodie in you - or if you just like to eat - this festival is for you. The annual Taste of Times Square brings over 40 of New York City’s best restaurants to the masses. From street food to fine dining, the menu at the Taste of Times Square is just as diverse as New York itself. 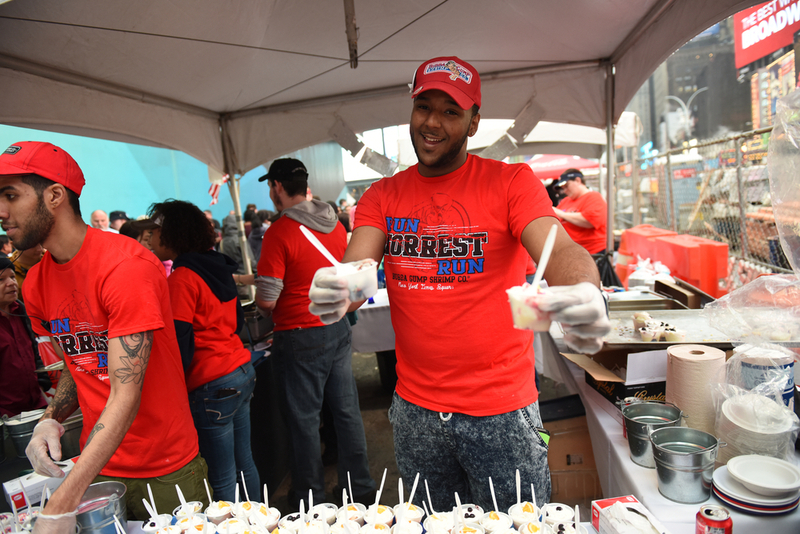 Although American cuisine does dominate the selection at the festival, there’s still plenty of international options, as well as many variations on American food, like barbecue, Cajun, and seafood. On the international side, think Mexican, Italian, Cuban, Japanese, and even Irish. In addition to the great food, there’s also excellent entertainment. And although the performing acts haven’t yet been released. It’s always something to sit in the middle of Times Square, among all the flashing lights, billboards and skyscrapers, watching and listening to the artists during Taste of Times Square. Maybe even better than the food and entertainment are the prices. It’s hard to find anything reasonably priced in New York, much less a festival. However, the Taste of Time Square is. Entry is free, and food is priced in tickets. Tickets are worth $1, while most items cost between $2-6 at the festival. That said, won’t you have a bite with us? Are you visiting New York City in June? Make sure to stop by the Taste of Times Square. The festival happens Monday, June 5, 2017 from 5-9 p.m. Walk straight up 8th Avenue from The New Yorker, or hop on the train from Penn Station, and head uptown just one stop on the 1, 2, or 3 trains.